Cocktails have an unwavering, timelss style, so become a purveyor of fine drinking with this collection of CLASSIC and CONTEMPORARY recipes. 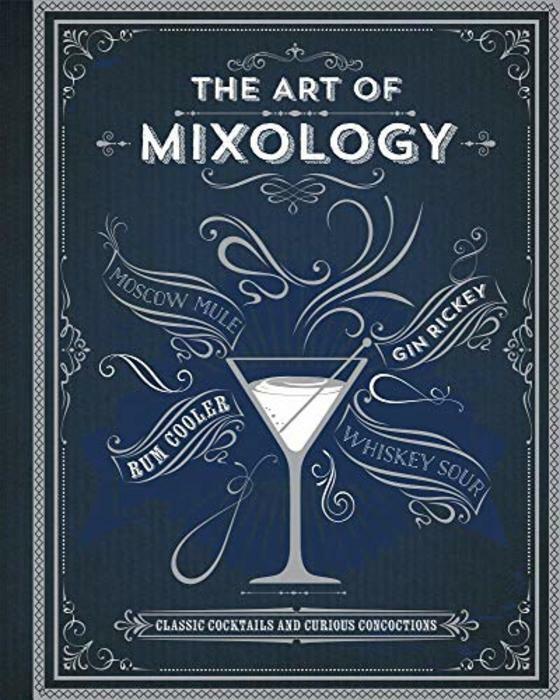 The Art of Mixology offers a stunning anthology of cocktail recipes to make at home. You'll find an informative introduction packed with all the essential knowledge any experienced or novice mixologist could ever need and over 200 recipes to suit every occasion. The drinks are grouped within sections on Gin & Vodka; Rum, Whiskies, and Brandy; Bubbles; Something Different; and Mocktails, and the drinks range from a Singapore Sling, a Buck's Fizz, and a Cosmopolitan to a Highland Fling, a Brandy Julep, and a Baby Bellini.